Hotel pick up and drop off included in Cancun. Friendly, dedicated and knowledgeable english speaking guide. 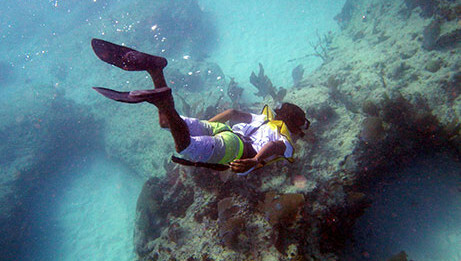 Share the tour with other skilled - advanced snorkelers. Small groups to guarantee individual attention (6 people per group). 5-7 m (18-24 ft) deep reef ideal to skin dive. Snorkel over a shipwreck sunk in 1988. 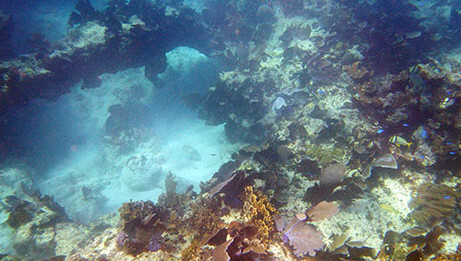 3 snorkeling stops: 2 virgin reef area + Shipwreck. Adventurers (like us) are always seeking for new challenges! 24hours before the selected schedule. Tickets subject to availability. Do you think you’ve seen everything? Looking for something new? 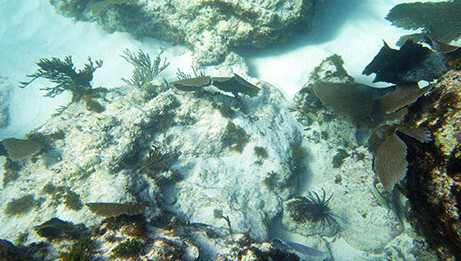 This tour was created by Total Snorkel Cancun’s owner. He describes himself as a snorkel fan and marine life lover. After keeping this tour as secret only for friends and family, he’s decided to share his hidden treasure! Enjoyed over our secret virgin reef. 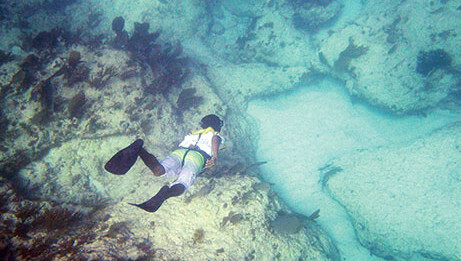 On this tour we’ll get into giant coral formations, coral caves, crevices and huge white sand pits. 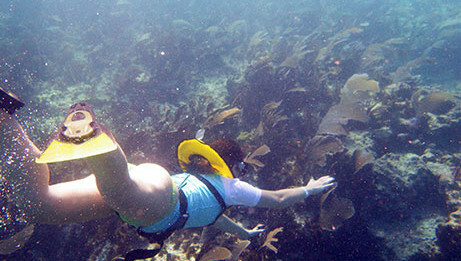 An authentic playground for real snorkeling fans!. A different spot of the same rare, secluded and unique reef. 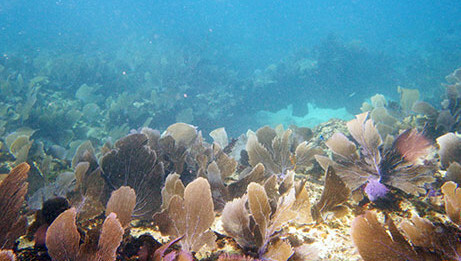 See a magical array of marine life with our dedicated and knowledgeable guides. Free dive on this natural 18-24 ft deep wonderland. Enjoyed over a full-of-sea-life shipwreck. The shipwreck is full of fish a colorful corals. Sorrounded by crystal clear waters and white sand, you’ll feel like you are swimming in a natural pool! Before going further, we must mention previous experience is needed. You don’t need to be an expert, but feeling comfortable breathing through the snorkel and being a good swimmer helps to have a more enjoyable experience (no need to be Michael Phelps). If you’re more like a beginner you might want to check our Reef, Musa, Turtle Encounter And Shipwreck Cancun Snorkeling Tour. We will always swim in the same direction as the sea current (not against it). We like doing your life easy; you’ll feel you are on a “lazy river”. Get ready to become speechless with this tour. We’ll swim among bigger and special fish such as big barracudas, yellow snapper and black grouper (species you’ll never find in shallow waters). Turtles and eagle stingrays are also found here! 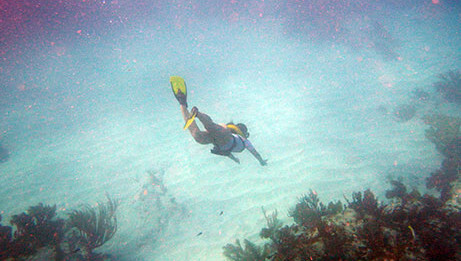 We'll help you to improve your snorkeling skills with some cool tips! According to our experience the best way to do snorkeling and enjoying a reef is swimming as a dolphin, and we'll teach you how! Yes, you’ve read it right, as a dolphin. We don’t mean swimming at 20 miles per hour or jumping 20 feet above the water's surface, we mean snorkeling on a “sine waveform”. The secret to get the best from the reef is to get your eyes as close as possible to the coral, colors and details are magnified on a way you won’t believe. We’ll invite you (and teach you how) to take a big air sip, hold your breath and coming to the bottom where all the magic happens! Never done that before, don’t worry, your in the best's hand! With Total Snorkel you can always expect something else! Book your tour now! Available daily at 07:00 hrs and 09:00 hrs. The pick up time is set according to the distance to your hotel. The exact time is sent to you on the booking confirmation.